12/11 6-9pm Christmas Ornament - Bloomin Beads, Etc. 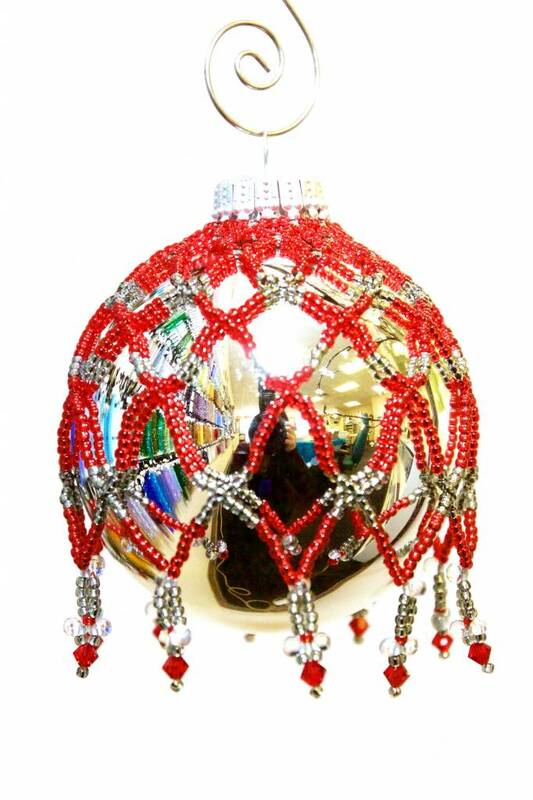 This ornament cover will sparkle on your tree! There is a lovely netting cascading down into a drop and crystal fringe! This design can also be modified to create a wine bottle cover! Make it in 3 festive colorways for this holiday season!